When the pagan Anglo-Saxons invaded England, they drove the native Celtic inhabitants north into Scotland and west into Ireland, Wales, and Cornwall. The Anglo-Saxons were subsequently converted to Christianity by Celtic missionaries from the north and west, and Roman and Gallic missionaries from the south and east. As a result, they ended up with two different “flavors” of Christianity. The difference was expressed mainly in the form of a disagreement about the proper method for calculating the date of Easter, a disagreement which we may suspect was a stand-in for other disagreements a little more difficult to articulate. In 663, a council was called to settle the dispute, the Synod of Whitby. It decided in favor of the Roman or continental way of doing things. Soon after, the Archbishop of Canterbury died, and the English elected a successor, Wighard, and sent him to Rome to be consecrated by the Pope. Wighard died in Rome before he could be consecrated, and the Pope (Vitalian) took it upon himself to choose a man to fill the vacancy. 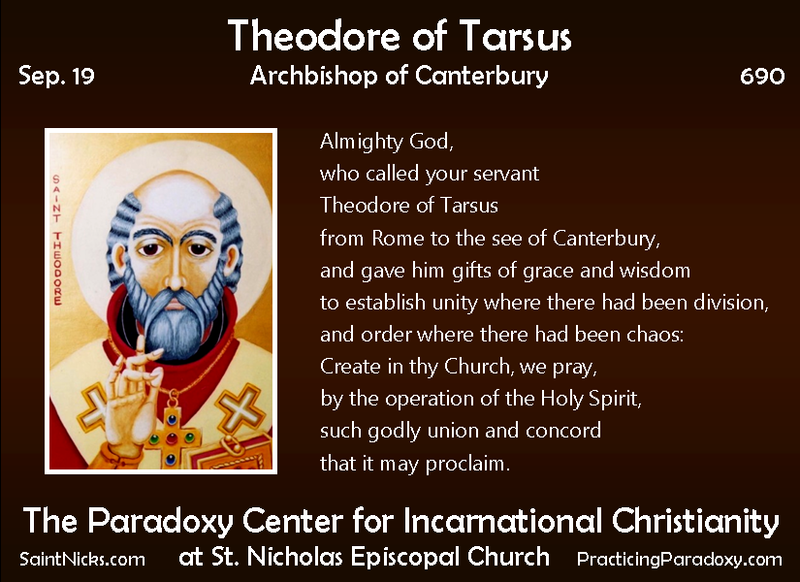 He consecrated Theodore of Tarsus (the native city of the Apostle Paul), a learned monk (not a priest) from the East then living in Rome, 65 years old. This surprising choice turned out to be a very good one. Theodore was (as Bede put it in his Ecclesiastical History) “the first archbishop whom all the English obeyed.” Having made a tour of his charge, Theodore filled the vacant bishoprics and in 672 presided over the first council of the entire English Church, at Hertford. 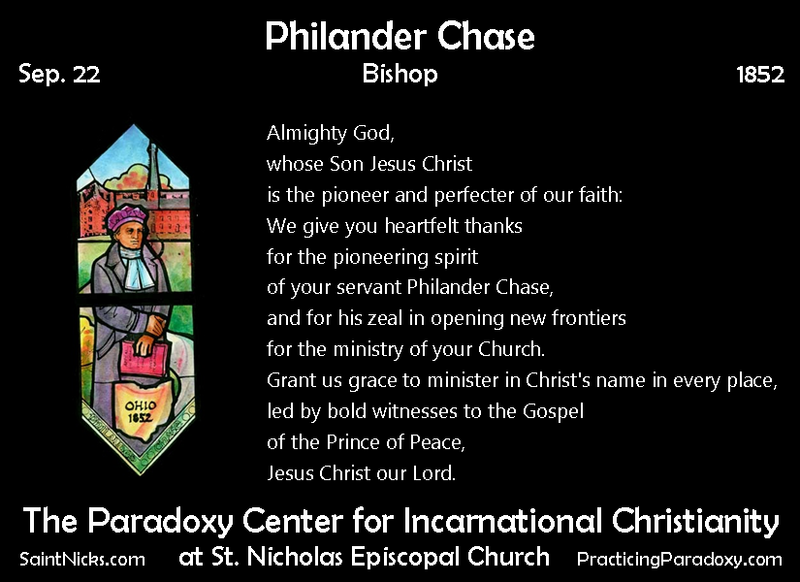 He established definite territorial boundaries for the various dioceses, and founded new dioceses where needed. He found the Church of England an unorganized missionary body, and left it a fully ordered province of the universal Church. The body of canon law drawn up under his supervision, and his structure of dioceses and parishes, survived the turmoil of the sixteenth and seventeenth centuries and are substantially intact today. He founded a school at Canterbury that trained Christians from both the Celtic and the Roman traditions, and did much to unite the two groups. The school was headed by Adrian, an abbot born in Africa but later resident in Italy, who had been the Pope’s first choice for Archbishop, but who had refused and recommended Theodore instead. Adrian was learned in the Scriptures, a good administrator, and fluent in Latin and Greek. The school taught Bible, theology and sacred studies, Latin and Greek (Bede alleges that some of the students knew these languages as well as they knew English), poetry, astronomy, and calendar calculation (of some importance for political reasons, as stated above). Adrian died 9 January 710. Theodore died 19 September 690, being 88 years old.